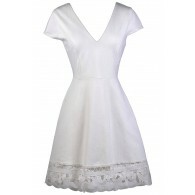 This simple strapless dress is taken up a notch with the classically beautiful filigree embroidered design at the bust. The Filigree Embroidered Strapless Dress is fully lined. 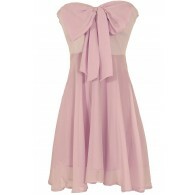 It has a strapless neckline, empire waist, and princess seams at the bust. The flowy A-line skirt is a figure-flattering cut and a hidden back zipper completes this dress. The Filigree Embroidered Strapless Dress would look great dressed down with flat sandals or dressed up with wedges or pumps. 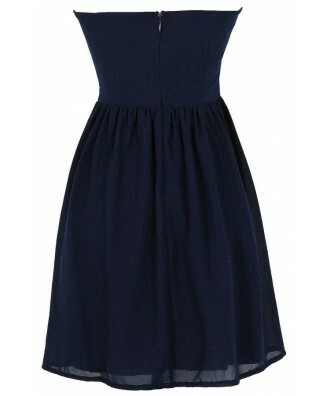 This is a classy dress you can wear almost anywhere. Details: Fully lined. Hidden back zipper. 65% silk, 35% polyester. Lining: 100% polyester. Hand wash cold water separately. Color will bleed. No bleach. Hang to dry. Small measurements: Length from top of bust to hemline: 28”. Bust: 32”. 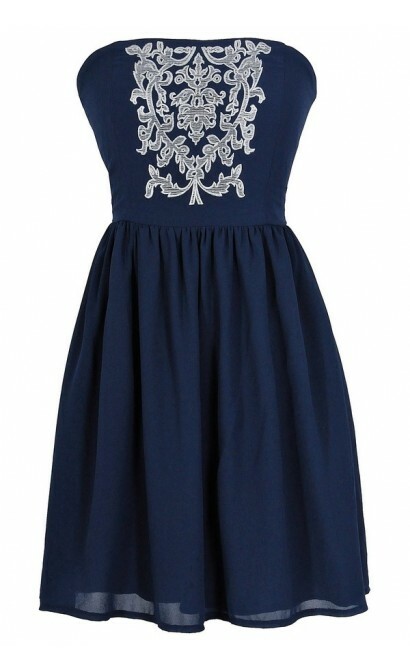 You have added Filigree Embroidered Strapless Dress in Navy into Wishlist. 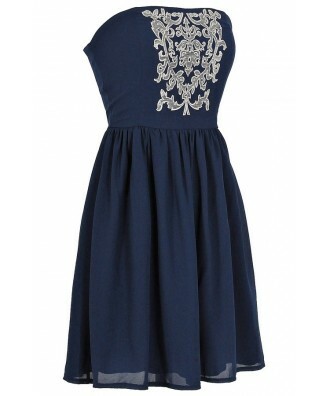 You have added Filigree Embroidered Strapless Dress in Navy for Stock Notification. 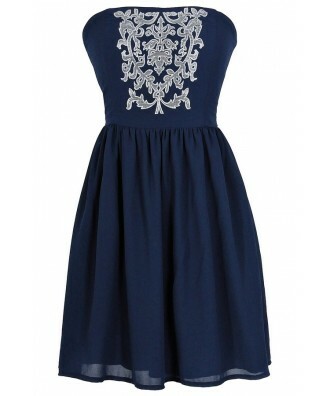 You have set Filigree Embroidered Strapless Dress in Navy as a loved product. 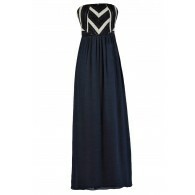 You have removed Filigree Embroidered Strapless Dress in Navy as a loved product.